Almost 40 years ago, Charlotte W. Fletcher, Ph.D. volunteered as a crisis line counselor for the Suicide Prevention Center—an experience she credits with her decision to pursue a career in mental health. 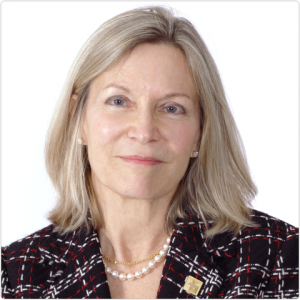 No longer in private practice, the former University of Southern California staff psychologist continues to support community mental health as a member of Didi Hirsch’s Board of Directors, which she joined in 2004. She currently serves as Board Secretary. As a full-time USC psychologist at the Student Health & Counseling Service Center, Charlotte provided emergency psychiatric care to students and faculty, served as a consultant for the medical staff and held workshops and trainings in the assessment and management of suicide risk. She has lectured extensively on suicide prevention throughout Los Angeles, including University of California, Los Angeles, USC, Kennedy Child Study Center, the Los Angeles County Sheriff’s Department and numerous community mental health centers. She also trained volunteers for Didi Hirsch’s Suicide Prevention Crisis Line. Charlotte, who has a Master’s degree in Social Work and a Doctoral degree in Clinical Psychology, previously worked with pre-trial substance users in Washington, D.C. and counseled at-risk youth in Gardena, California. A survivor of suicide, Charlotte says her family’s experience fueled her passion for suicide prevention and mental health advocacy. Charlotte and her husband, Jeremy, a real estate developer, split their time between California and Maine. They have two children.